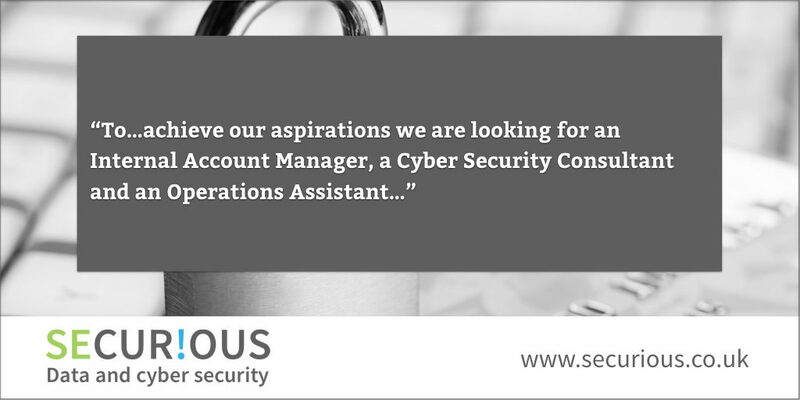 Securious is seeking three more full-time employees to strengthen our team at Exeter Science Park. Securious is an independent cyber security compliance company helping businesses protect themselves and their reputations against the very latest cyber threats. We offer services such as GDPR compliance, penetration testing, PCI Compliance and more, with the aim of ensuring our clients’ systems are as compliant and secure as possible.